Sunday Scan is a High Resolution tour of some of the greatest comic art ever produced! This week is no exception. 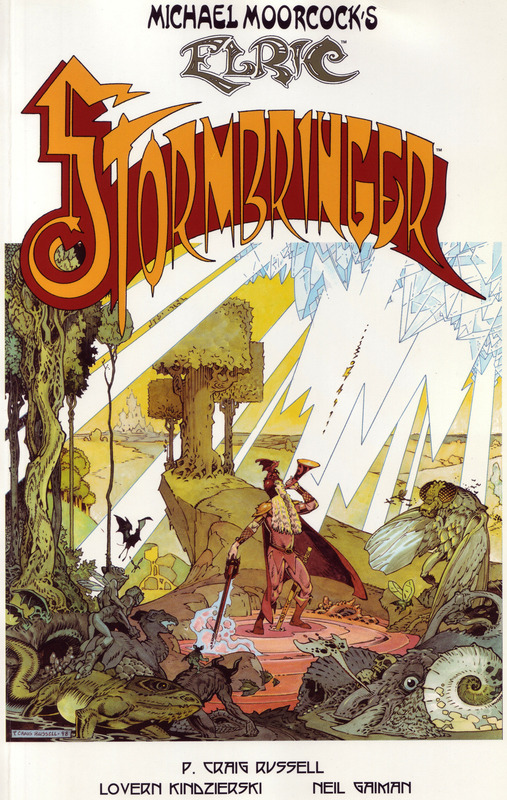 Today’s scan is the cover for the trade-paperback that collects issues #1-7 of Dark Horse and Topps comic series Elric:Stormbringer (1998). The stunning and atmospheric art is by P. Craig Russell with colors by Lovern Kindzierski and Digital Chameleon. P. Craig Russell also wrote the script for this (adapted from the original Michael Moorcock novels). This is one of the rare gems from the ’90s era of comics. Not a lot of those!